64.5% of all Americans are either overweight or obese. Even without charts and statistics, all you have to do is look around to see that we are an overweight nation. Our medical weight loss and nutrition therapy program can help you. The Standard American Diet (SAD) is a significant contributor to our obesity issues. Over the past 30 years the amount of processed foods and foods with added sugars has skyrocketed! This combined with a sedentary lifestyle has stacked the deck against most of us when it comes to trying to lose weight. Being overweight or obese comes with an array of health issues; high blood pressure, heart disease and diabetes to mention a few. Add to that the emotional stress of being overweight and you have depression, anxiety and chronic fatigue. Along with the physical and medical symptoms that obesity causes, are the medications prescribed to address the problems. These medications can then cause other problems and now we are in a never-ending circle of dysfunction with our body and mind. We never get to root of the problem….our diet. At Functional Family Medicine we believe that “food is thy medicine”. Your diet and nutrition serve as the starting point for disease or wellness in your body. While the media plays on our vanity to lose weight to “look” good, we want to focus on your quality of life by adopting healthy lifestyle changes. 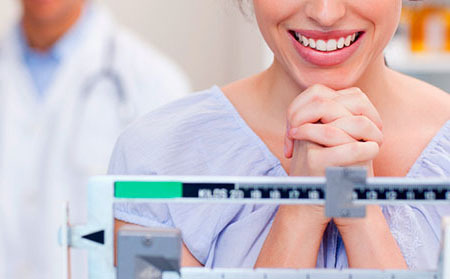 Begin your customized weight loss program with an initial consultation, followed by weekly appointments. Our approach is to balance education, diet and a healthy lifestyle to achieve your long-term health goals. (60 to 90 minutes) includes full history and physical exam, comprehensive blood work, BMI and body fat testing, a starter kit. If needed, weekly injections of B12*, a prescription for appetite suppressants (if indicated), and initial recommendation of vitamins and supplements are provided. Access to pharmaceutical grade nutritional supplements that can assist you with weight loss and long-term wellness. *B12 shots are included in the Medical Weight Loss Membership. Vitamins, supplements and appetite suppressants‎ (if indicated) may incur additional charges. Please feel free to contact us. We’ll be delighted to answer any questions you have. Disclaimer: All information presented in this website is intended for informational purposes only and should not be taken as medical advice. Statements made on this website have not been evaluated by the Food and Drug Administration. The information within this page is not intended to diagnose, treat, cure or prevent any disease or medical condition.